Discover the truth he wants you to know! The man in your life is keeping secrets. They’re so deep inside he barely knows they're there, much less how to talk to you about them. Yet he genuinely wants you to "get" him - to understand his inner life, his fears, his needs... In her landmark best seller For Women Only, Shaunti Feldhahn reveals what every woman - single or married - needs to know. As founders of a multicampus church and marriage coaches with 30 years of experience, Dave and Ann share the hard-earned but easy-to-apply biblical principles that ensure a strong marriage. Told in a funny and highly relatable dialogue between both husband and wife, Vertical Marriage will guide you toward building a vibrant relationship at every level including communication, conflict, intimacy, and romance - though Dave is still figuring that last one out. A mismatch blessed by heaven... If your husband does not share your faith, you may feel like you are walking a tightrope of spiritual survival - guarding the flame of your belief in Christ, yet unable to share it with the person you love most in the world. But your spiritually mismatched marriage can be a vibrant, blessed relationship where you’re free to grow in love with God and your man! Respected marriage expert Dr. Gary Chapman has given millions of couples the key to clear communication in his perennial best seller The Five Love Languages. Now he breaks new ground with The Four Seasons of Marriage - an approach guaranteed to change the way you and your spouse understand your marriage. Women: you're not alone in your marriage. You never have been, and you never will be. While it may not always feel like it, God desires for you to have a relationally healthy, emotionally engaged, and spiritually mature husband with whom you can share your days. 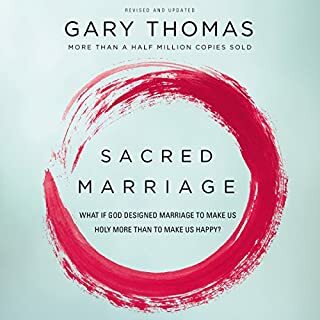 In Loving Him Well, Gary Thomas builds on concepts from his best-selling book Sacred Marriage to reveal the inner workings of a man's heart and mind. He delves into Scriptures that help women gain biblical insight to influence their husbands. Exploring the research of neuroscientists, trained counselors, and abuse victim advocates, Gary also interviews dozens of wives to find what has worked and what hasn't as they've sought to build the best marriage possible. 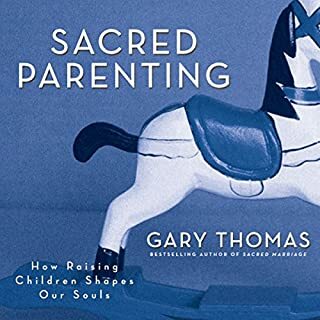 In this newly updated version of Sacred Influence, Gary Thomas outlines practical applications you can begin using today. 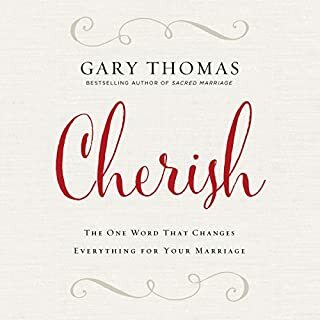 Thomas desires to "encourage women who are in good marriages that could get even better; and offer hope and a new path forward to women who feel invisible or marginalized in their marriage." You'll discover the influence you can gain and the peace of mind you can build when you go first to God for your worth, validation, protection, and provision and then learn how to use that platform to help your husband draw closer to you and closer to God. 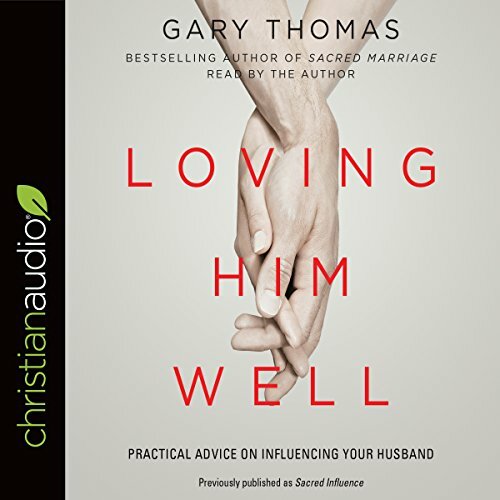 After decades of marriage ministry, ministering to couples of various walks of life in one of the largest cities in America, and gaining a new sensitivity for many of the issues facing contemporary women, Gary has rewritten this book, adding new stories to help wives understand, love, and influence their husbands. Loving Him Well offers encouragement and biblically based support for the transformation of your marriage, drawing you and your husband closer together, the way God intended. 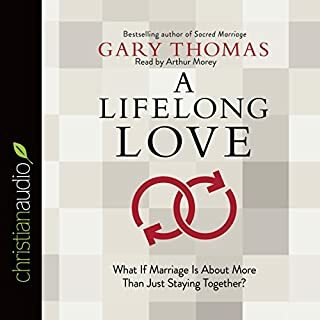 Refreshing look at marriage and commitment especially in today's world, where commitment is becoming optional and lasts only as long as it is convenient. This book will challenge you and support those who value their marriage but need a booster shot to renew that commitment! A must read for any wife! I found this book extremely valuable as a wife. It spoke to my heart in profound ways and helped me allow more love than resentment in. Gary has an amazing way of delivering God’s word and underscoring the importance of our relationship with Him. It’s the desire to please our Heavenly Father that provides the necessary motivation to convict us in taking Godly actions when our bruised egos and broken hearts want to turn away from a husband who is not meeting our emotional needs. God’s ways are always best, and again Gary Thomas shows the way with compassion, and kindness. 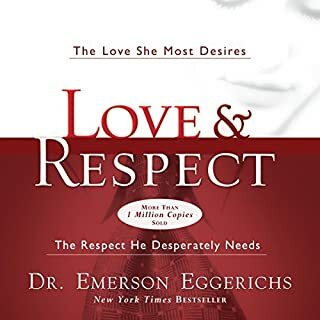 His reading is so engaging and I recommend this book to any wife who feels alone or overlooked in her marriage. It will uplift you, Challenge you and encourage you to act in ways that honor you and God. Get this book! And then share it with someone you love. On the way to love my husband better! Thanks, Gary for addressing the issues we wives usually encounter truthfully and Biblically. Many great advices. Love all of Gary’s books! Some of the best advice I have ever heard in relating to my husband and healing my relationship with him. This book is founded on solid principals and correct thinking. This book was extremely empowering and very inspirational. Packed full of real world advice for real world relationships. I loved how the author makes you think about your marriage and how as women we can through prayer make anything possible when we lean on and trust God!!! I loved every chapter in this book and it has really opened my eyes to so much and opened my heart to work and work in my maturity in faith and trusting God in my marriage and in our family. Highly recommend this book. I found this book very intriguing. The author quotes multiple scriptures as the basis for his insights. He quotes several other authors and people throughout history even. I say it's a good book not only for wives because as women we have friends who struggle through situations we may not can relate to. This book covers such a wide range scenarios that I feel much more aware of struggles that husbands and wives go through. As a divorced mother in a relationship, I found it very easy to follow. He has case-stories but it is not the only way he expresses his points. I was surprised how long the book was. and to me, it was just more insight for the price! This is my first ever marriage book to read ! This book really helped me see the perspective of God concerning my marriage. I am so hopeful since I read it. God is in control and is my helper in my marriage. I learned to focus on the positive sides of my husband and declare prayer over his weakness. I also resonated with the wives stories on their mentality in their marriage because I struggle with that mindset also. thank you for this book.